If you have a lot of cameras on your site, you’re probably familiar with the challenges that come with keeping track of them all. Even with diligent naming conventions and liberal tagging, trying to figure out exactly where a particular camera is located on your site can be frustrating — especially if your cameras sit on multiple floors. Well, worry no more. 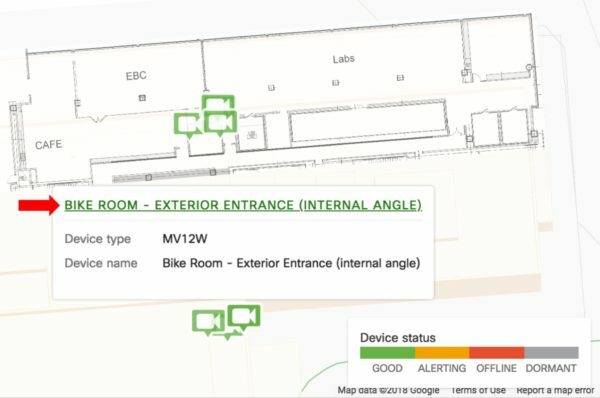 The Map & floor plans feature in the Meraki dashboard has recently been expanded to include Meraki MV cameras. 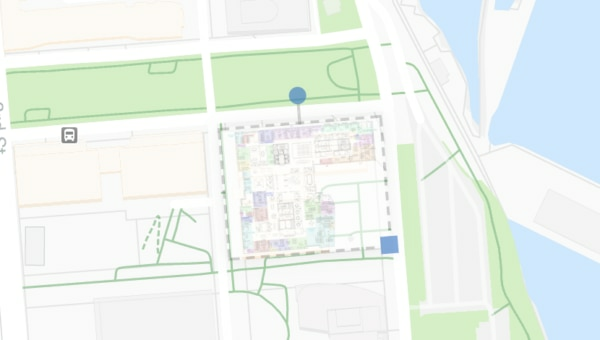 Rather than guess where a camera is, you can now use MV indicators on your floor plans to easily track where each camera is, monitor their statuses, and access their video streams. 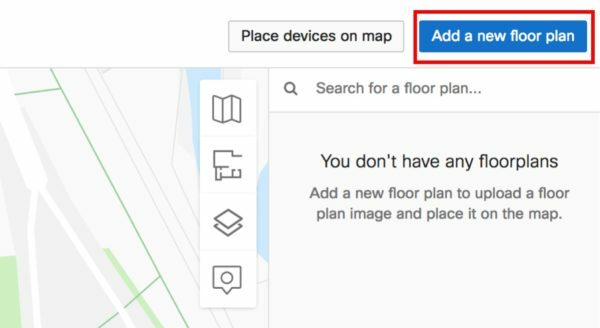 If you’re already using floor plans in the dashboard, then you’re all set, because adding a camera to a floor plan is no different than adding any other device. If floor plans are something you’re yet to explore, don’t worry — adding floor plans in the dashboard is very simple, and they’re incredibly useful for every network. First, navigate to Network-wide > Map & floor plans and select the “Add a new floor plan” button. You’ll be prompted to provide a name for the floor plan (e.g., “1st Floor”), the street address for your site, and to upload the floor plan image. You should now see your newly added map beside a list of all the Meraki devices on your network. Click and drag to place each camera (or other device) in the appropriate spot on your map. When everything has been placed, press “Save device placements.” That’s it! With cameras now on your floor plan, you can hover your mouse over any MV icon to see a dialog box containing the name and model of the camera. Clicking on a camera’s name will take you directly to that camera’s video stream. The color of the icon will also indicate the status of each of your cameras, so you can quickly locate and troubleshoot any cameras that may be having problems. Are you planning on using floor plans to help manage your camera network? Tell us all about your plans over at the Meraki Community!